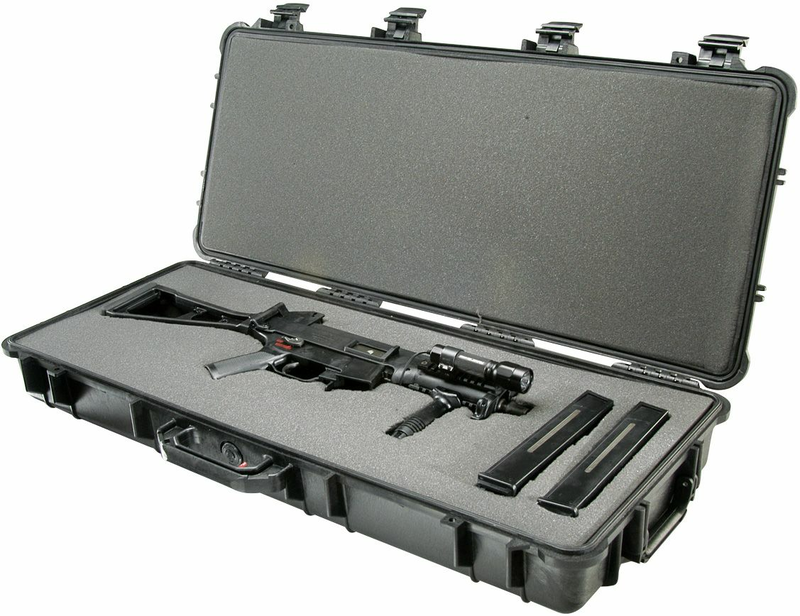 "#1700 Weapons CASE - TRAVEL VAULT II This long gun firearms case is unbreakable, watertight, airtight, dustproof, chemical resistant and corrosion proof. 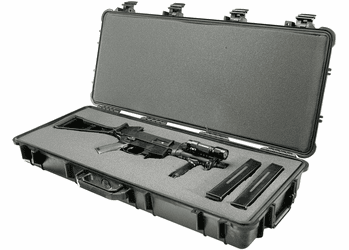 These are some of the features of this Pelican® Protector™ Case that offers total protection for your equipment. It is made of Ultra High Impact structural copolymer that makes it strong and durable. Its exclusive 1/4"" (6.4 mm) neoprene o-ring and ABS latches seal perfectly and includes an automatic purge valve for quick equalization after changes in atmospheric pressure. It has transport wheels for better handling. Your equipment can fit into the high density foam of the case for total subjection and protection against impact, vibration or shock. No. of Wheels: 2 NSN : 6760-01-491-2827"